Some of the most physically dangerous cities for American women based on FBI-reported crime rates are found in Michigan, Oklahoma, Arkansas, Illinois, Alaska, and California. These statistics are based on violent crimes per 100,000 people per capital. From Memphis Tennessee, Anchorage Alaska, to Saginaw Michigan, crime is filling these cities as fast as homes are foreclosed. Oddly enough, vacant homes are now filled with drug dealers, addicts, prostitutes, gang members, and copper thieves. Foreclosed homes is as much an epidemic in this country as crime is. They’re becoming a magnet for criminal activity. In the middle of the mix is, Redding California. 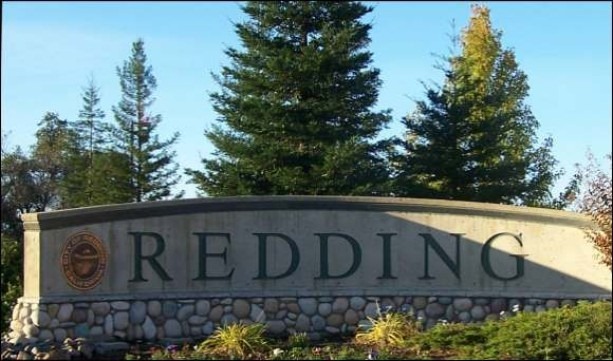 With a population of 93,000 Redding is recorded as having 797 violent crimes and 66 rapes. I know, by now you’re probably saying, so what’s the big deal with that? Well I’ll tell ya. Redding California is known for none other than Bethel Church with Bill Johnson (apostle) and Chris Vallotton (Prophet). Wrapped around the ministries of these two individuals is dominion theology and Cultural Transformation. Bethel Church believes that a supernatural God can and does intrude upon natural realities, at least that’s the language they use to describe their church and ministry. In Bethels view, every believer is a supernatural minister whom signs & wonders should follow. With that is their theme verse; “Thy kingdom come…on earth as it is in heaven,” Matthew 6:10. At bethel they claim an open heaven, spiritual latter’s into heaven, open portals, Angelic visitations, glory clouds, etc. Bill Johnson has spread out to virtually every state, and most, if not all of our cities including both the urban and rural areas. So, in America you can say Bill Johnson is practically everywhere. He now has a high profile ministry which is touching the entire nation. Yet, even in his home town no evidence is given which shows there is a change, no transformation. I’m sorry, but the statistics speak for themselves. Crime hasn’t dropped, it’s continually rises. There is still more Churches closing than there are new church plants. Our prisons are still overflowing and our hospitals are still full to capacity. So much for Bill Johnson’s “Cultural Transformation”! Geez, how long does it take to transform a city, seems they have been talking this stuff for decades now. In my home town here in NW Ohio, a small town of nearly 16,000 Bill Johnson is present in several Churches. One in particular, Harvest Life Fellowship is heavily involved in Bill Johnson’s “Cultural Transformation” credo. No changes going on here! I see their membership out and about doing their everyday business like anyone else, shopping, eating, etc. And like any other city you still hear police and ambulance sirens daily. As paradoxical as this may sound, we have two hospitals here, both doing very well. And with tongue in cheek, many of the members of this Johnsonite Church work at one of the hospitals. You would think that with all the signs and wonders following them they would heal themselves out of a job. But such is the case with extra-Biblical Churches and Ministries! Allot of talk, not much action, and the world keeps spinning, chaos and confusion still plagues the minds of men with visions of grandeur as most of our Church leadership only see through rose colored glasses a pinked sky. This entry was posted in Bethel, Bill Johnson, Christian Mystics, Eschatology and tagged Bethel Church, Bill Johnson, Chris Vallotton, Cultural Transformation, Redding California by Mike Rogers. Bookmark the permalink. Allison, I realize to evangelize takes allot of time, I know, I’ve been at it for over 30 years. My point in righting the article is to show that the concept of “cultural transformation” neither works nor is it biblical. If you study out this new doctrine it has been birthed by the imagination of men, God never said in His word to transform culture, but to preach the Gospel witch is the death, burial and Resurrection of Jesus Christ. It is the good news that He lives that transforms lives, not culture. As I said, this teaching has been in the works for sixteen years and I hear it all the time right her where I live yet I see no change and that’s because it doesn’t work, won’t work, and can’t work. It’s simply not a Biblical teaching! Preaching the Gospel is, sharing the truth of Christ’s Resurrection, His Second Coming and all He promises is. I salute you on your efforts to share Jesus Christ with others, I can’t say anything against that and yes, we have to be tactful, wise, loving, and patient with the lost but at the end of the day the only thing that will save them is the faith of Jesus Christ. The Church was commissioned to spread the Gospel message to the lost, not to take over governments, the media, the family, etc. You might want to rethink your position, study carefully the Word of God with fresh eyes. There are many other teachings (Doctrines) that Bill Johnson teaches that are far removed from Biblical truth, we cannot allow ourselves to be deceived a sucked in by the latest craze. Because a man says something doesn’t mean he’s right. The same applies to myself, only the Word of God (Bible) is truth and it’s our job to discover its’ truth accepting it in its most normal, customary sense, that is, taking it at face value. If you do that, you will realize that most of what is taught at Bethel is amiss from Biblical truth. Take for instance the Sozo Ministry of Bethel. The Greek word sozo in scripture means, saved, or healed and delivered, yet the teaching of the sozo ministry has no relevance to biblical truth when you look at how the Sozo ministry is structured and implemented. The practice itself is wrong, it’s centers around the mystical, not biblical. Then when you rally look at what Mr. Johnson teaches about who Jesus is, his death and resurrection, etc, it too is not in line with Scripture. These are just two area’s where I see problems, I could go on and on, but I think you get my point. You will have to discover it for yourself by a careful study of God’s Word. I believe He can and will guide you, if, you are honest with what His Word teaches. I just wanted to let you know though that as someone who lives in Redding, CA and goes to BSSM, (I just moved here in September from Illinois to attend school) I would like to give you some first hand knowledge. When Bethel says that they are for Cultural transformation, the key word here is “for”. Bethel does not, nor have they ever, claimed to have completely transformed Redding. And if any statement has been said saying so, it’s simply a statement of faith that may have been taken out of context. As someone who, on a regular basis hears from many of the names you have dropped, I can be a first hand witness in letting you know they have never claimed that the city is transformed. In fact, they have told us many a time what the crime rate, homeless rate, etc. is like and how we are working to do something about it. It’s something that is being worked on through just loving people well. Also, every month students from BSSM go on a “Redding work day” in which we will donate our day to help clean up Redding. This is done by maybe helping paint some worn down buildings, giving a park a facelift, going in and deep cleaning nursing homes; basically we find out who would like some help, and we go help. My point though is that at least people at Bethel are trying. Not to be mean, but I’d rather die, trying to make a difference, than sit at my computer writing a blog mocking those who do try. I’m really not trying to be mean, it just hurts my heart when I see people pointing fingers when they really have no idea what’s going on. It takes nothing to sit and criticize a person or thing, but it does take a lot of work to transform a city. It’s easy to jump to conclusions when you don’t know all the facts. For instance, do you know about the police officers who call Bethel in tears thanking us for taking the time to let them know they’re appreciated? Do you know about the elderly people who are excited to keep on living because they now have a new friend who comes in and plays checkers with them? Or how about the kids who I go hang out with. Have you heard the reports from their teachers on how they have a learning disability that normally hinders them from being social, but that today that didn’t hold them back when I spent some time with him? What about the local Turtle Bay? Have you heard about how, because of the schools hard work on the Redding work days, they wanted to thank us by offering all of us BSSM students free admission to their art gallery that everyone else had to pay for? The testimonies really are endless! So yes, the crime rate and everything else may still be up, but we are trying! At least we’re trying!!! Actually, because of Bethel and BSSM’s good repore with Redding, I received my job here just because they WANTED a BSSM student to work for them. Because they have had such great encounters with people from Bethel. And this is at a secular job! attitude. I really am not offended! I just wanted to let you know what really is going on. I can see that you are a man who is searching out truth, and we need that in Christianity today. So I bless you in Jesus name to continue doing that. You really are an incredible person! Blessings!!!! I am so hoping that I have learned my lesson as well! And I pray for all those others seeking God, yet finding something other than Him. Just from reading some of the comments on this article is very telling about what others that live in the area actually feel about Bethel Church and all their signs and wonders, smoke and mirrors.Then you have the article above on Redding being number 5 on the list of most dangerous places for women and other crimes. Their claims fall far short of reality, so you have to wonder have they altered their thinking so much that they actually live in another world…..? I hear ya Linda, I’ve been there myself, what was I thinking? umm, I wasn’t! I have burnt the candle at both ends myself. I too was involved in an ultra-fundamentalist church many years ago. That was fun, end very bad. Then went into the Charismatic church. I think I have learned my lesson! Thanks for the post! Been there. Done it. Burned my t-shirts. All the cool ones, because that is what cool ministries have. Cool t-shirts, cool slogans, lots of conferences that bring in thousands of dollars, cool music, feathers, gold teeth, banners, Cutting edge worship, “prophetic” worship (whatever on earth that is), and lots of hurting misled people. I’m not surprised that the community out there is in such bad shape. We personally had never had such sin struggles and issues as we did when we were on staff with a similar ministry. Worse than in the ultra-fundamentalist church we were brought up in. (At least they tried to be scriptural) Thanks for the statistic. I’m going to hang onto that one.